The International Living contest for a test-drive month in Granada, Nicaragua, is underway. We found out earlier this week that we are among the 20 finalists, after submitting a video under three minutes. Our goofy little video describes why we’d be a great choice for the ‘test-drive’ retirement in Nicaragua: We’ll honor your vote with great personal reporting from Granada when we win. Anyone want to visit us? Voting ends May 15, the (ahem) 40th anniversary of Tom’s and my first date. 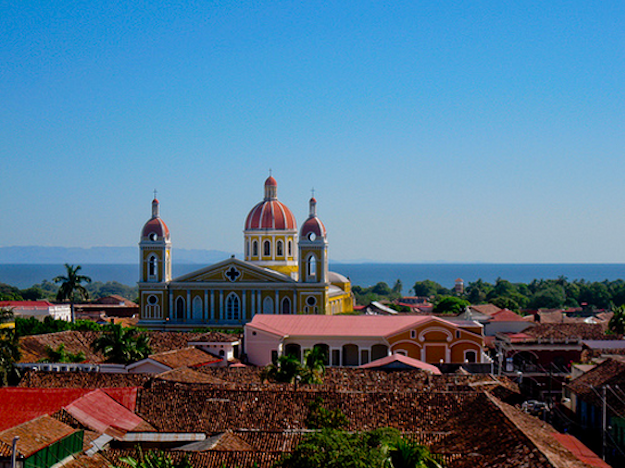 Read more about the contest and about Granada, Nicaragua at International Living. Tom and Chris are very experienced travelers who would add luster to an international living contest. They have the experience to compare and contrast the lifestyle, economy, and culture to many many comparable locations. Thanks, Hod. We’ll do our best! I can’t think of any two more well-suited people for this task! Well traveled, great writers, interesting takes, funny as hell, with the ability to write about aspects of life that will attract International Living types from all over. Every article they write makes me want to visit that place–even if I have been there many times…that is good, in depth coverage! Wait! I think you were the inspiration. We will do our best to schedule our travels around your whereabouts.